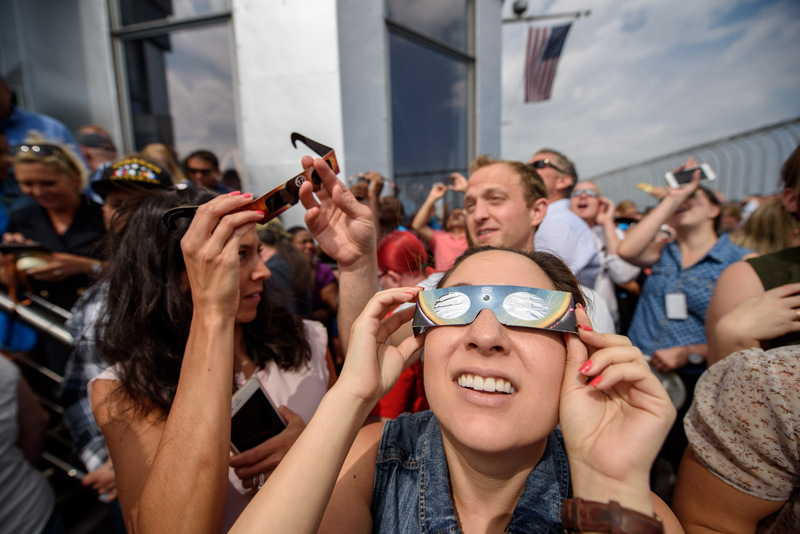 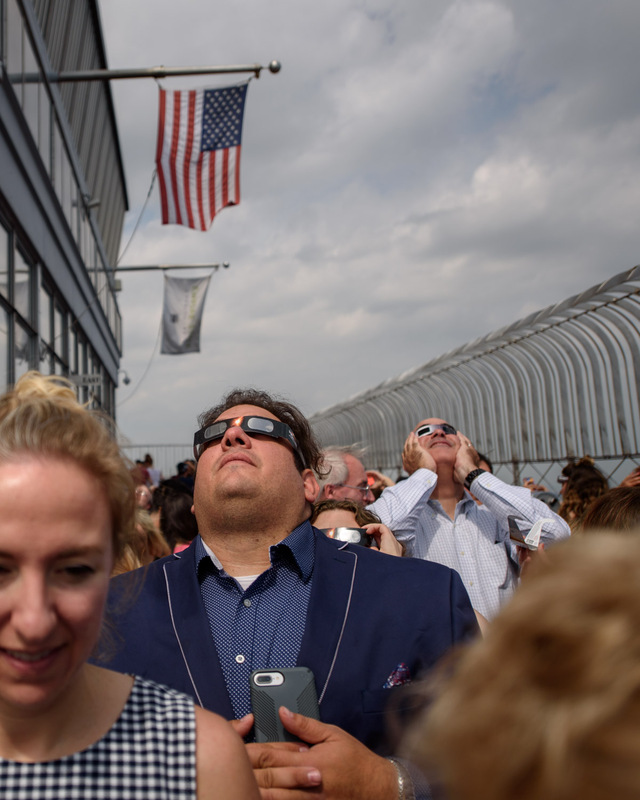 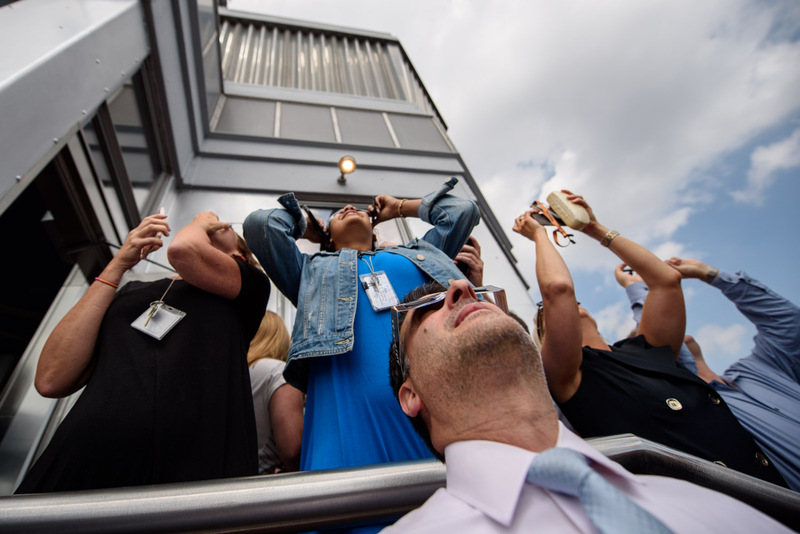 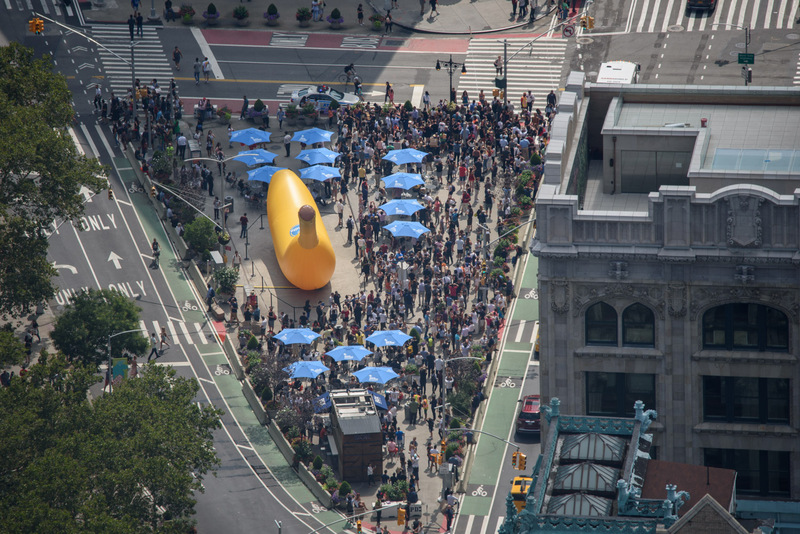 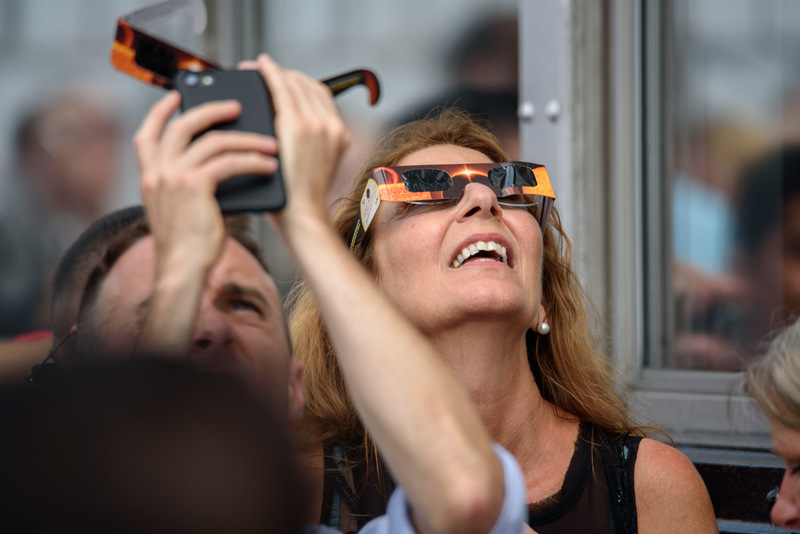 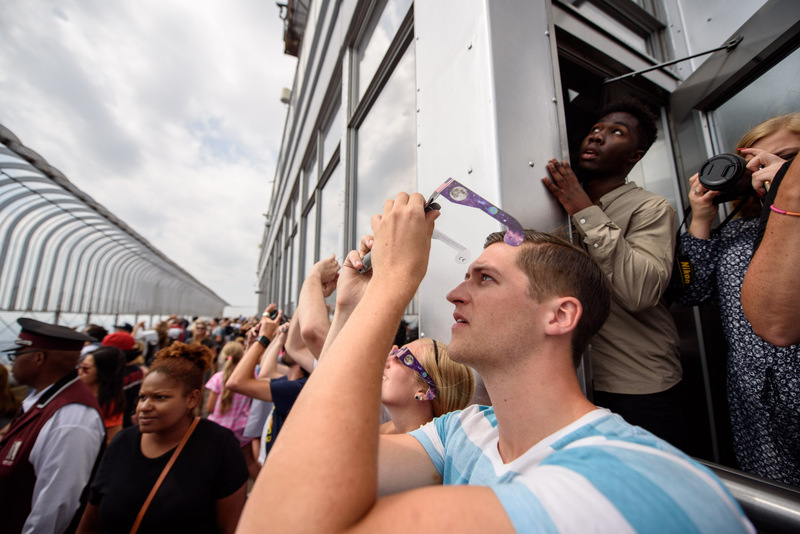 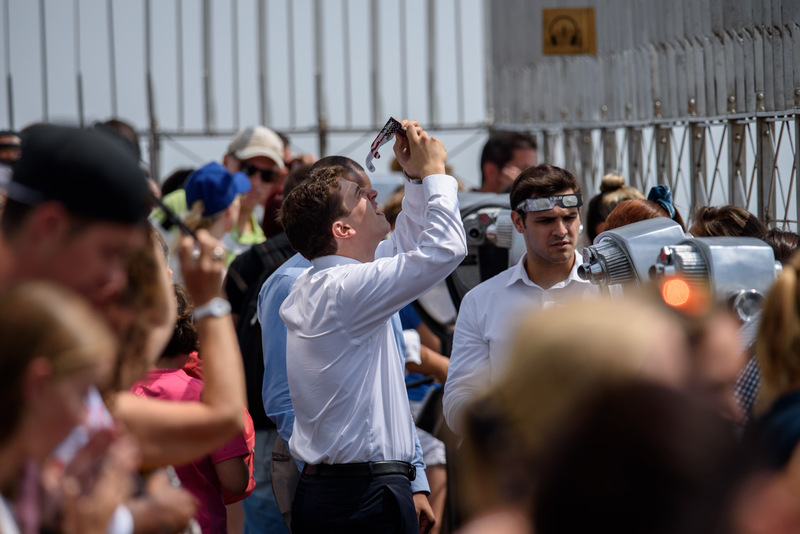 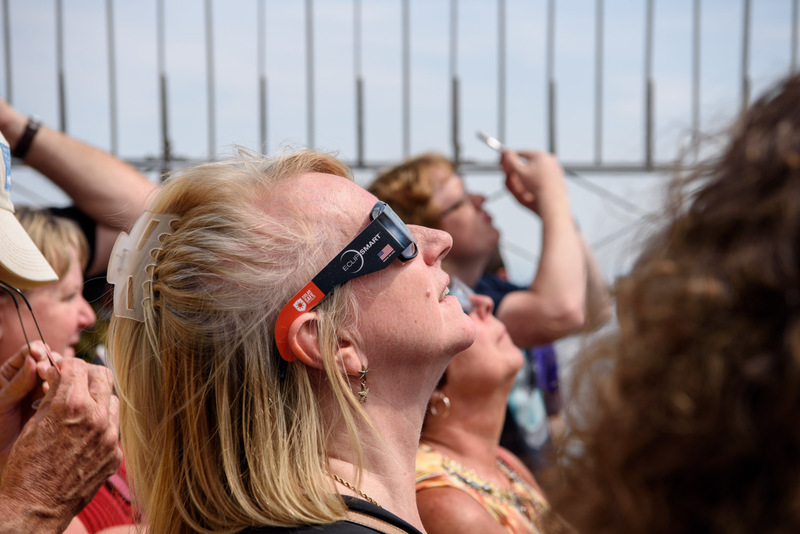 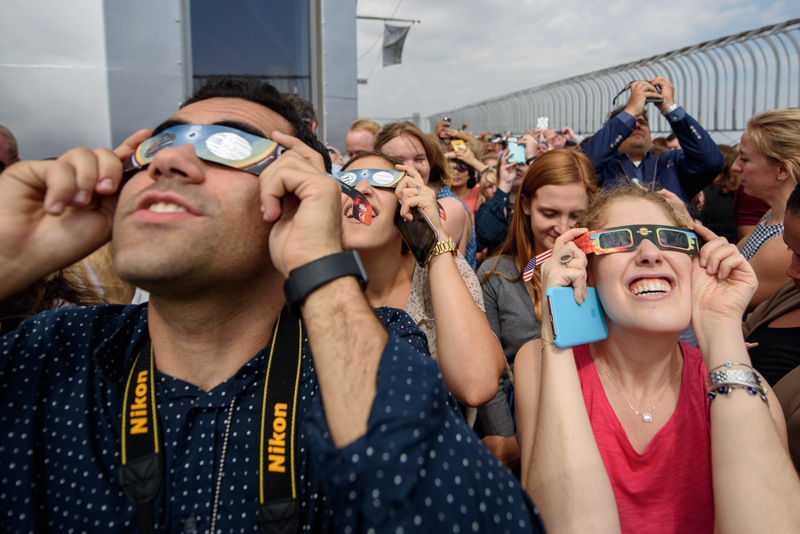 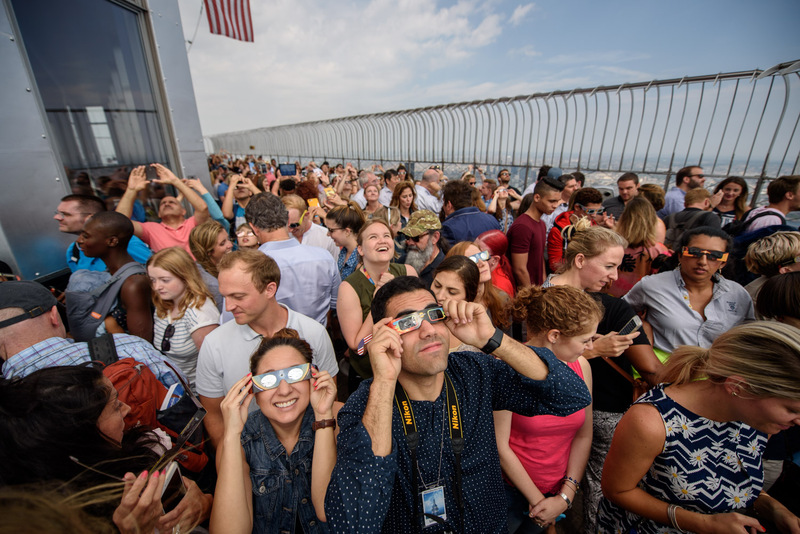 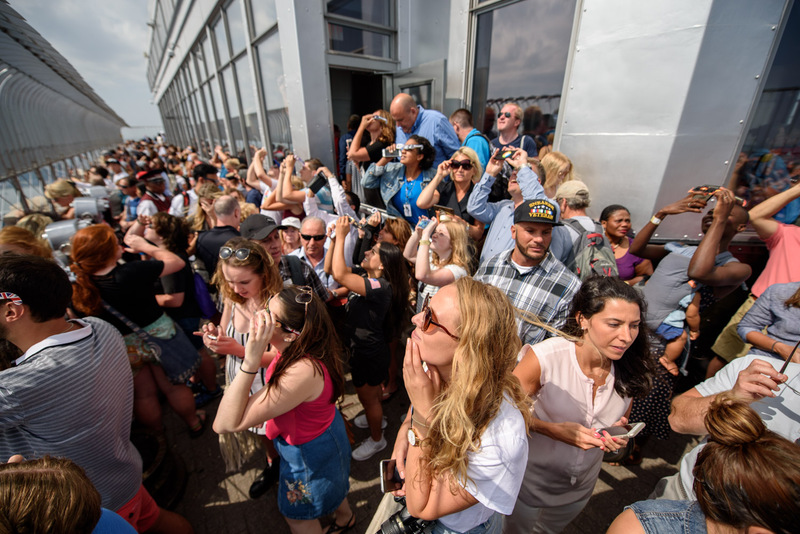 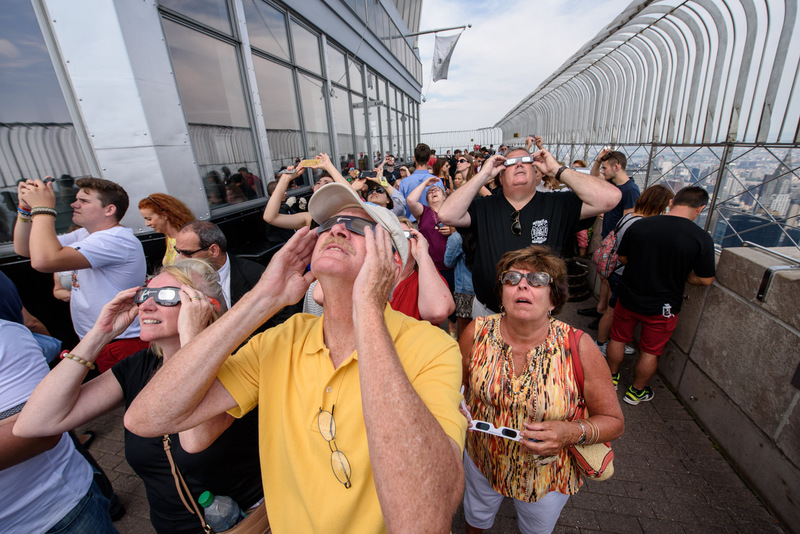 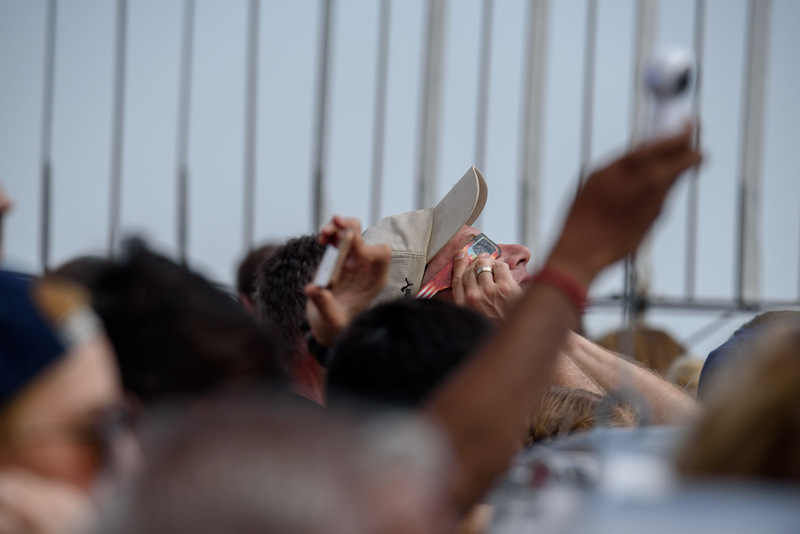 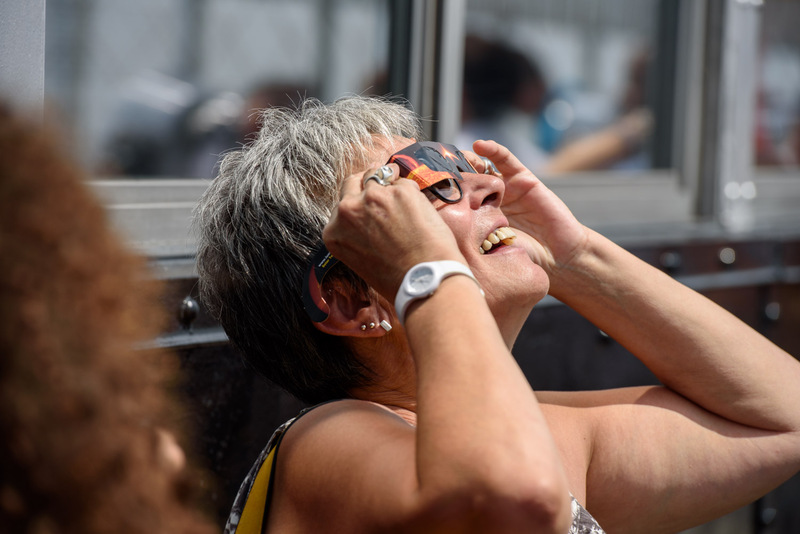 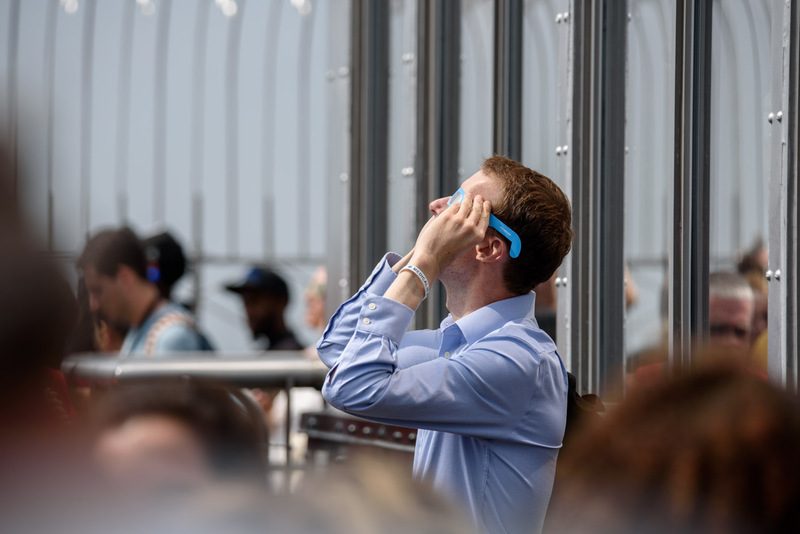 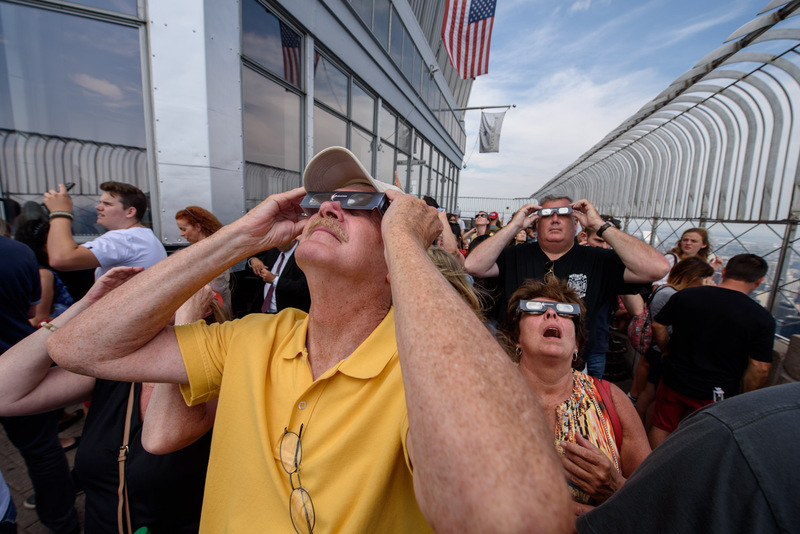 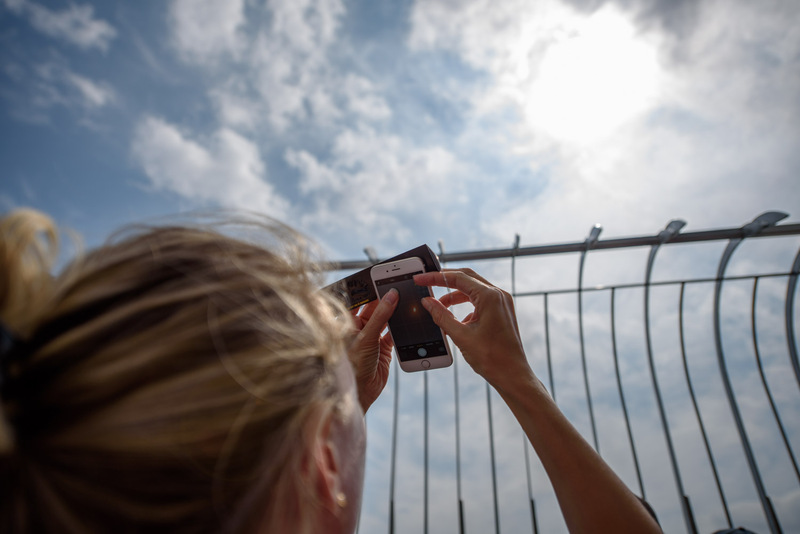 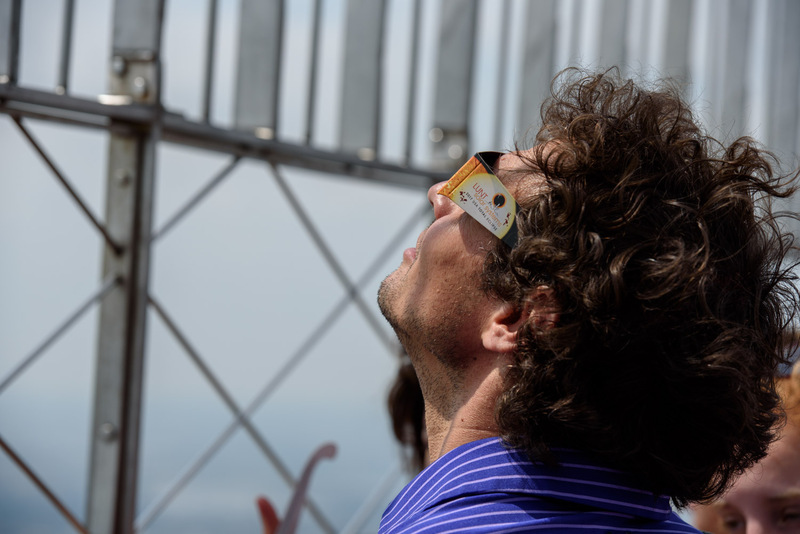 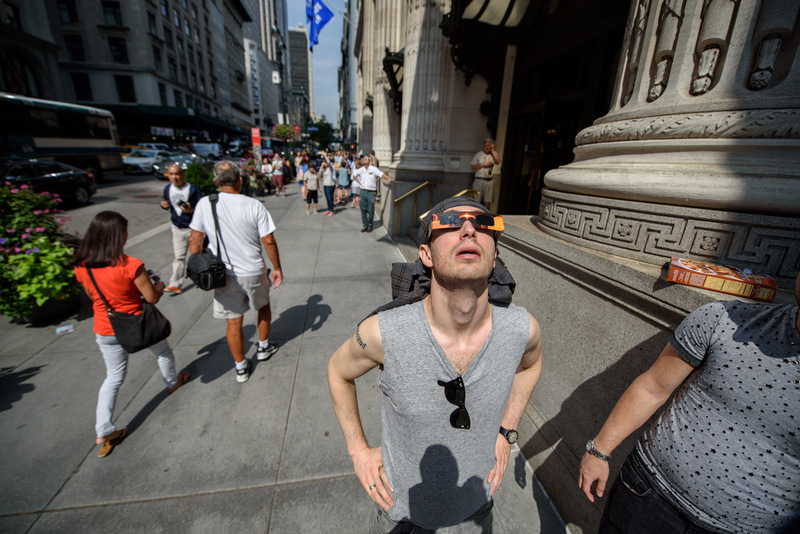 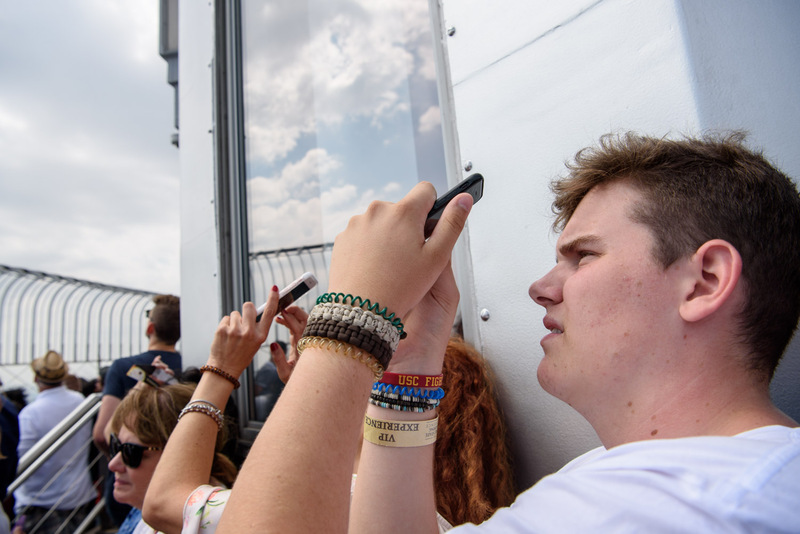 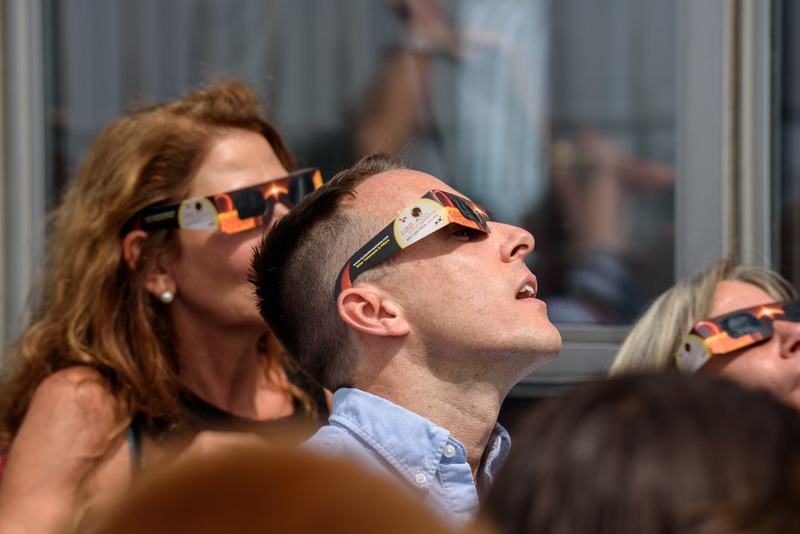 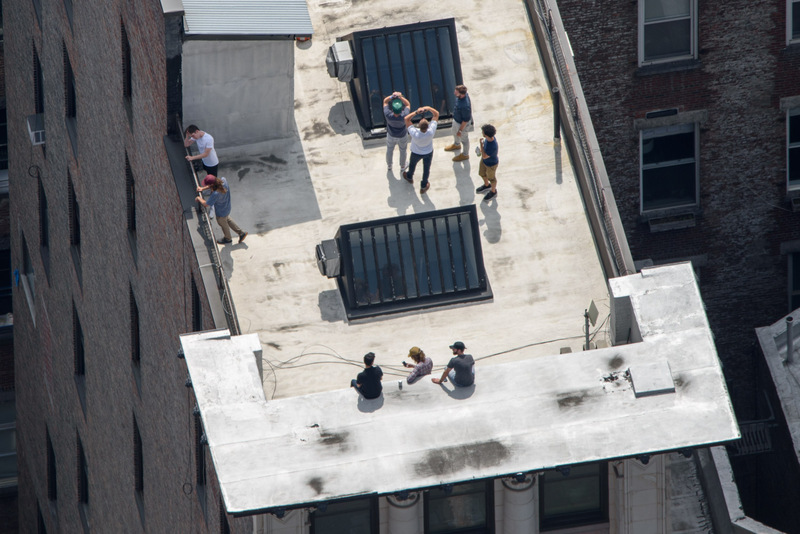 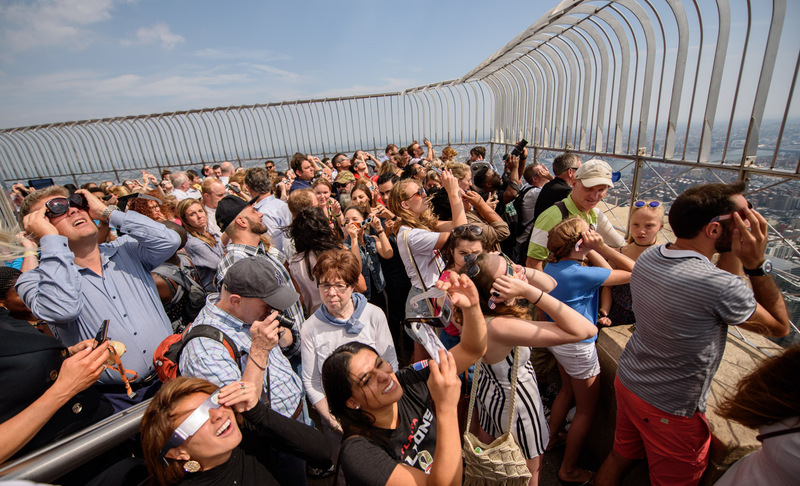 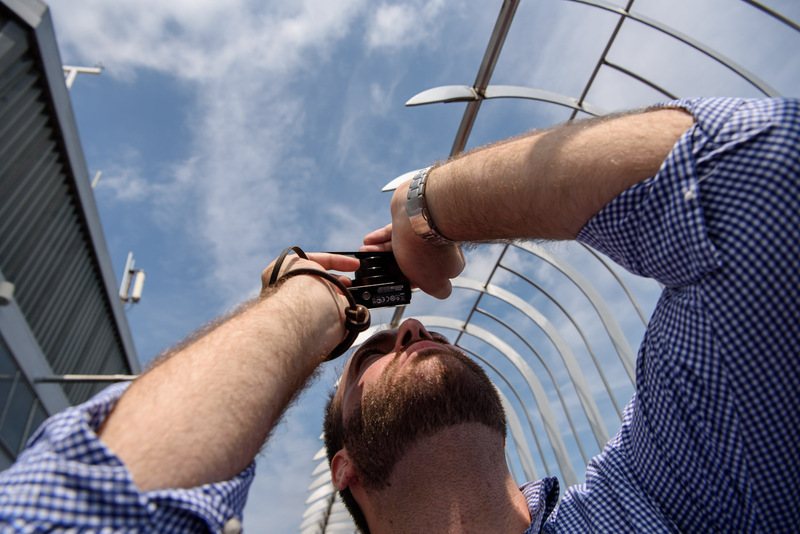 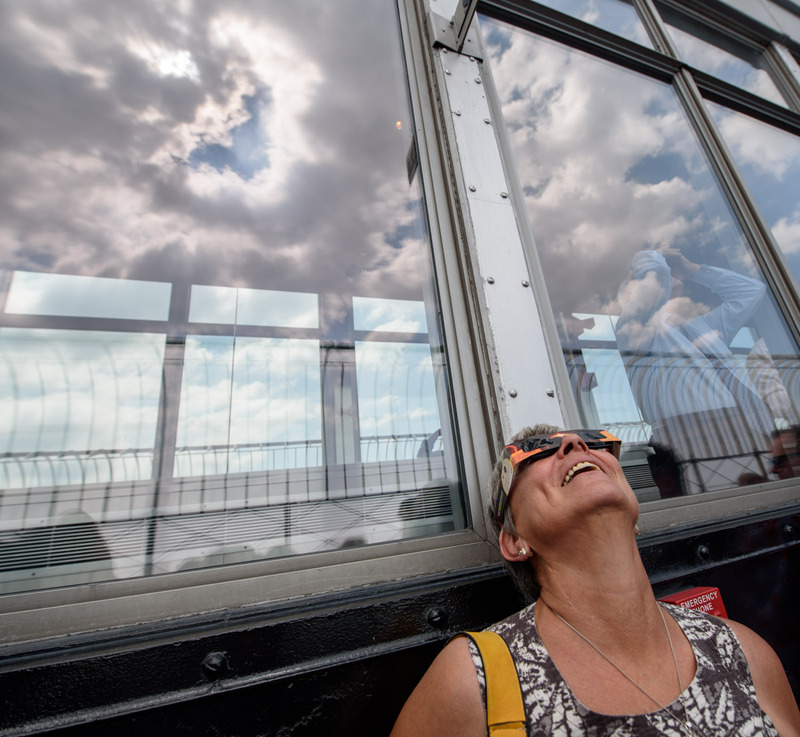 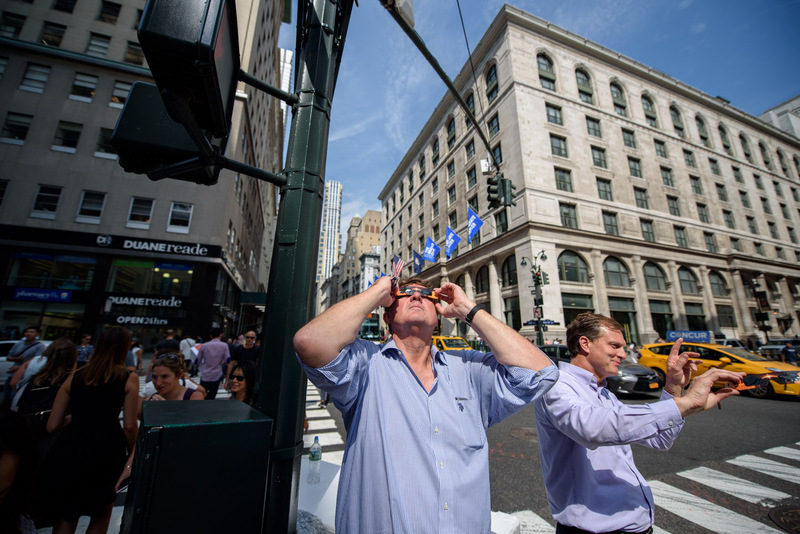 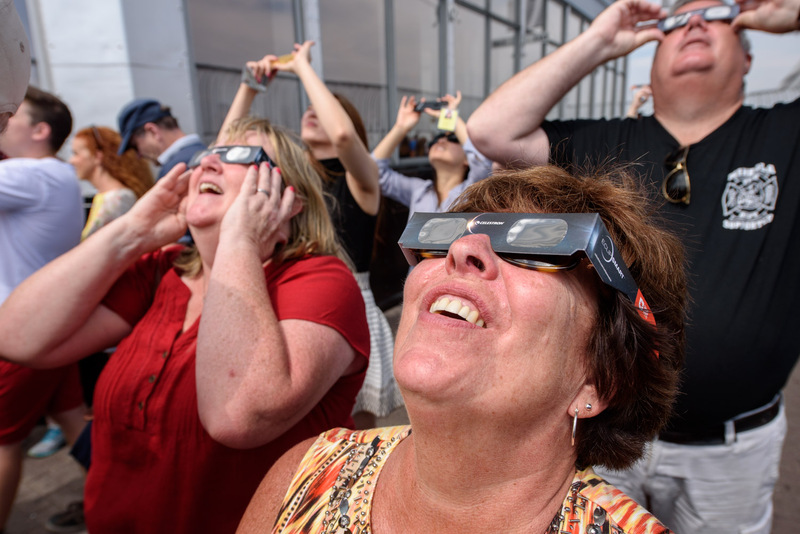 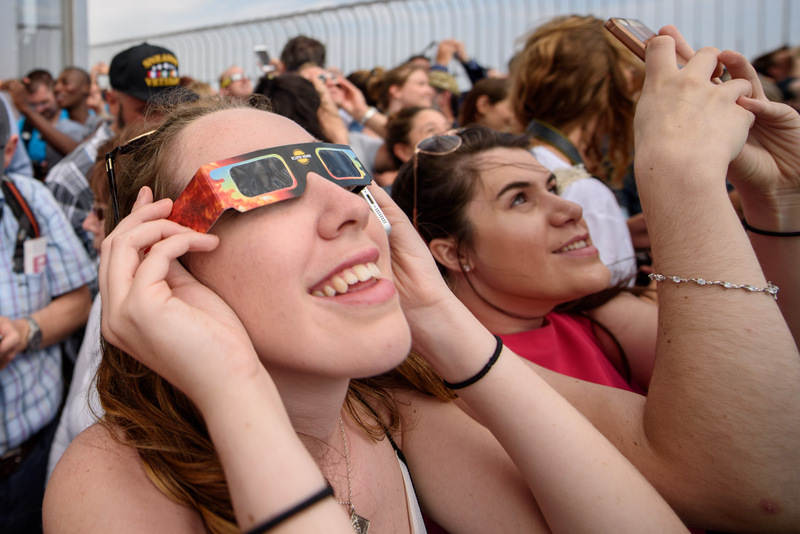 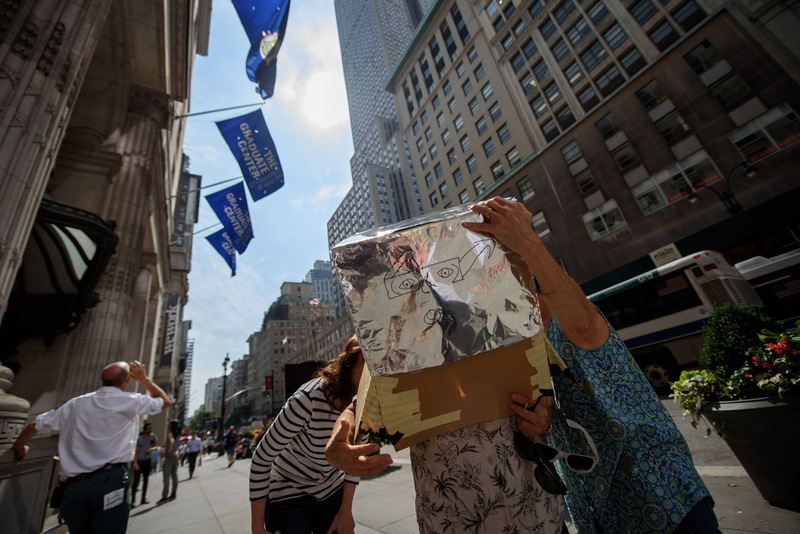 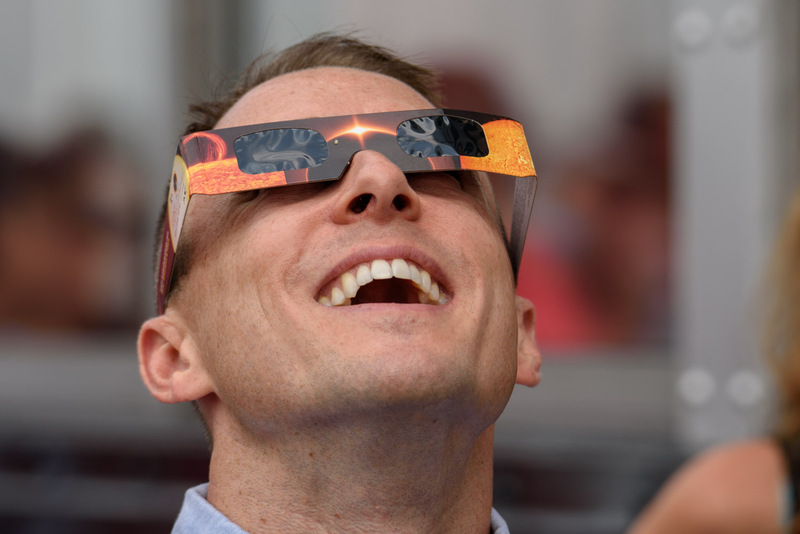 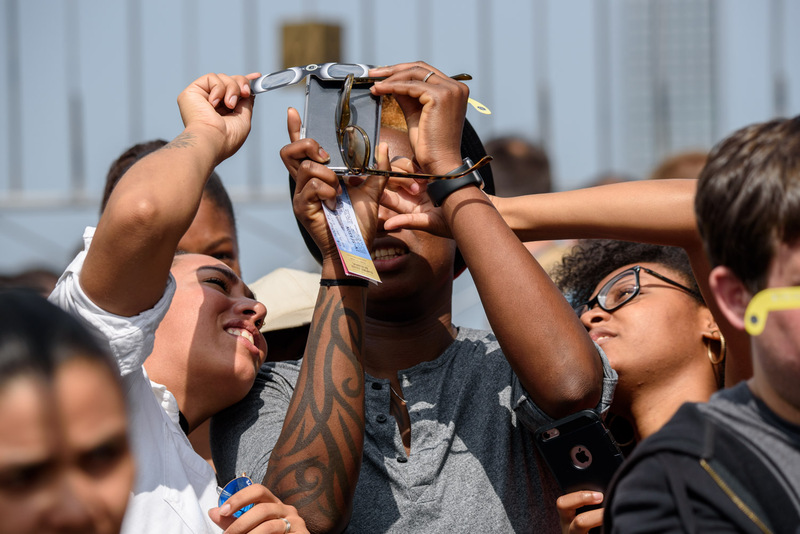 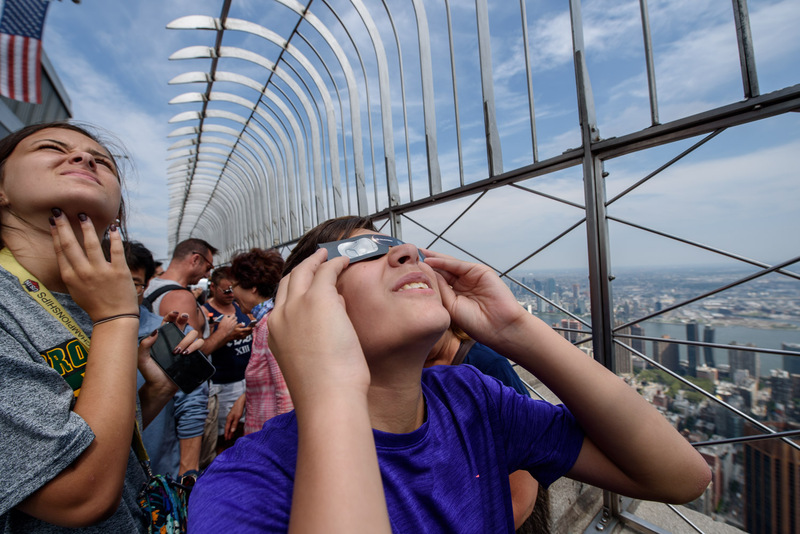 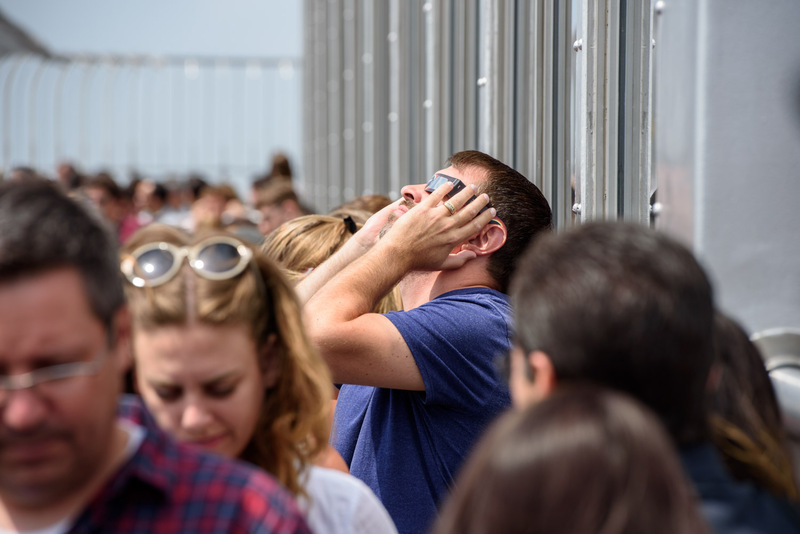 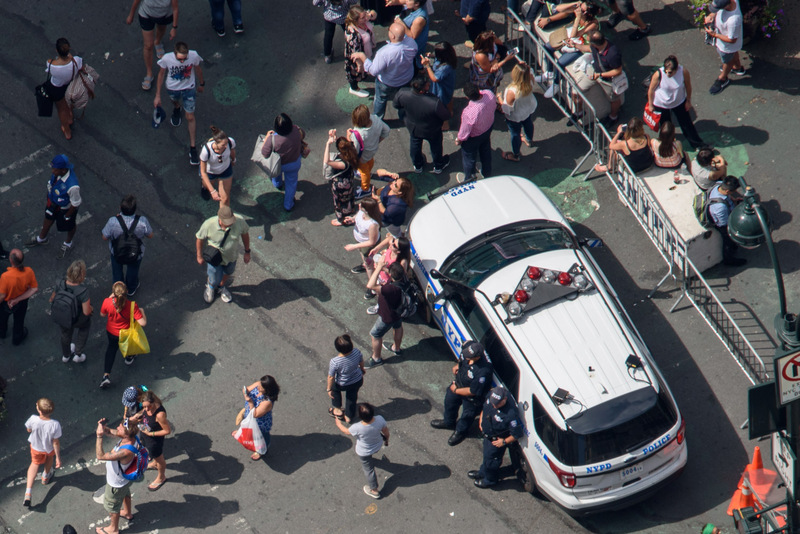 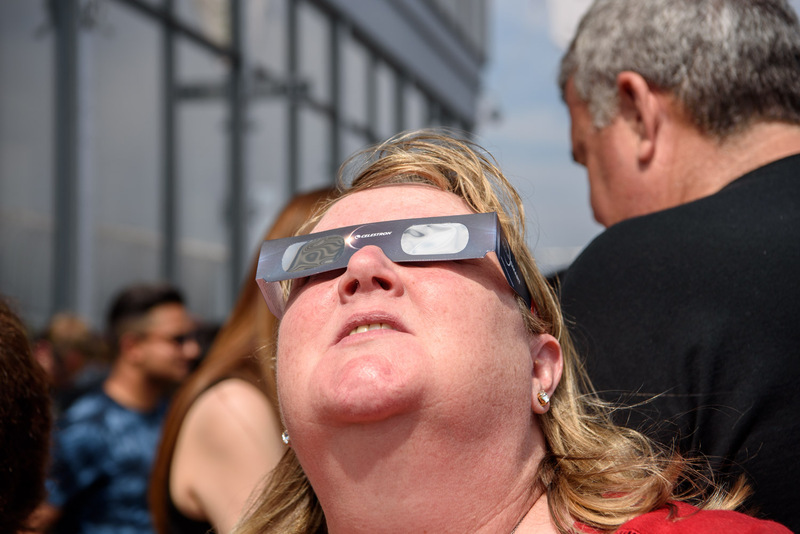 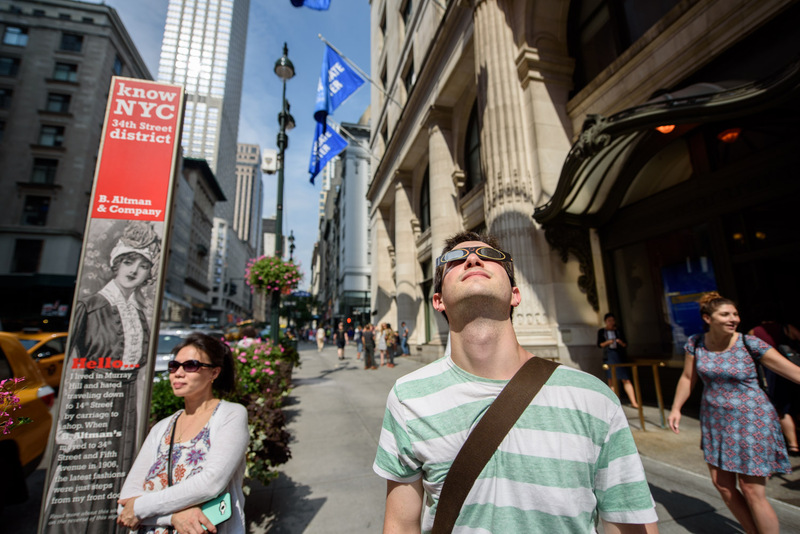 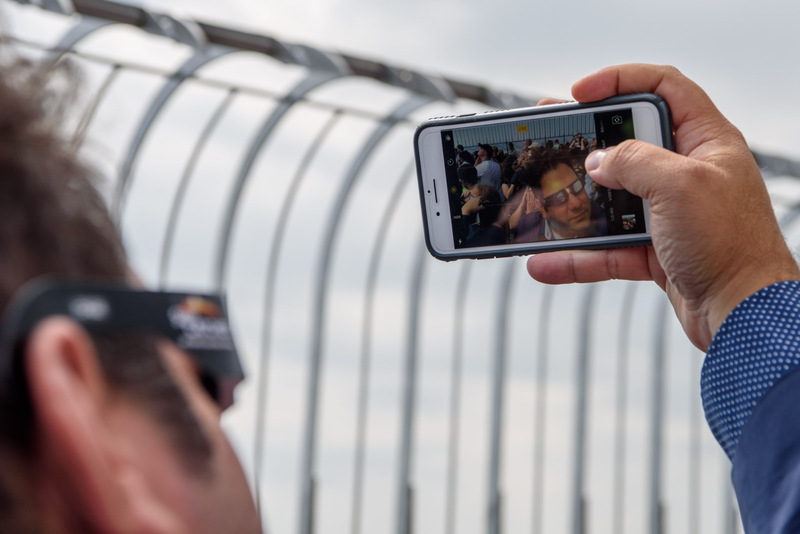 NEW YORK (WABC) -- One of the most interesting sights in being outside during a solar eclipse isn't the eclipse itself -- it's all of the people looking up to try to catch a glimpse of it. 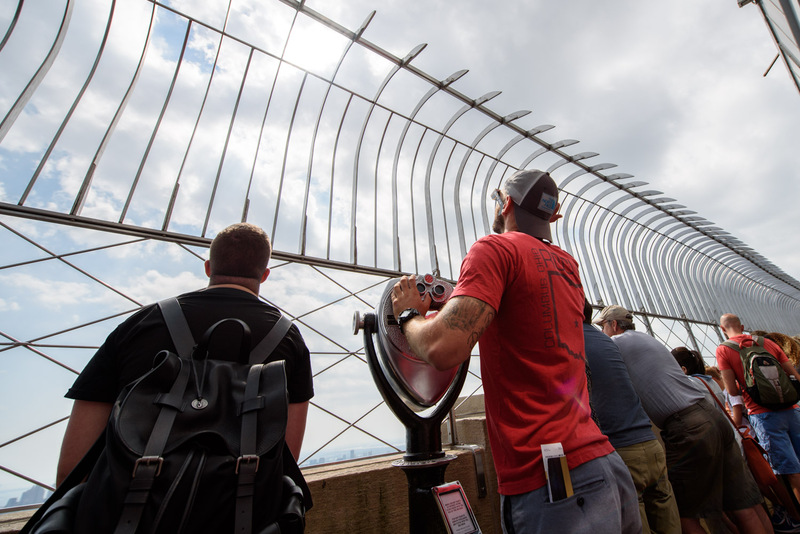 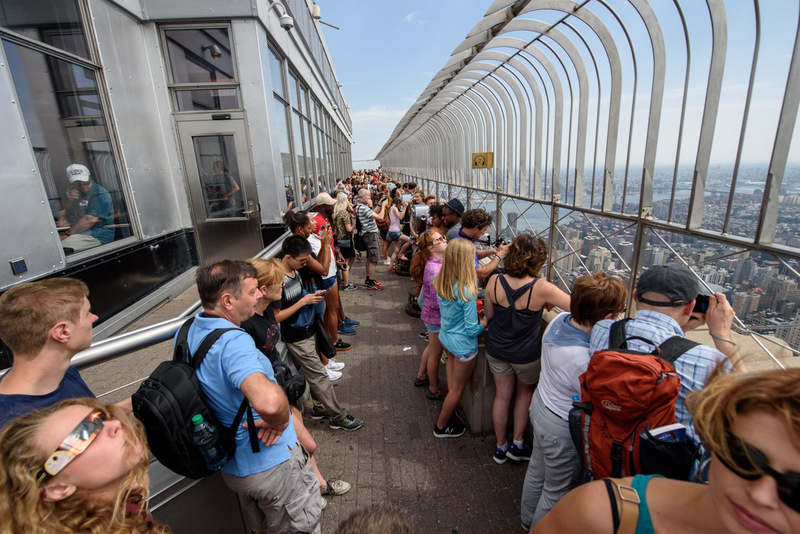 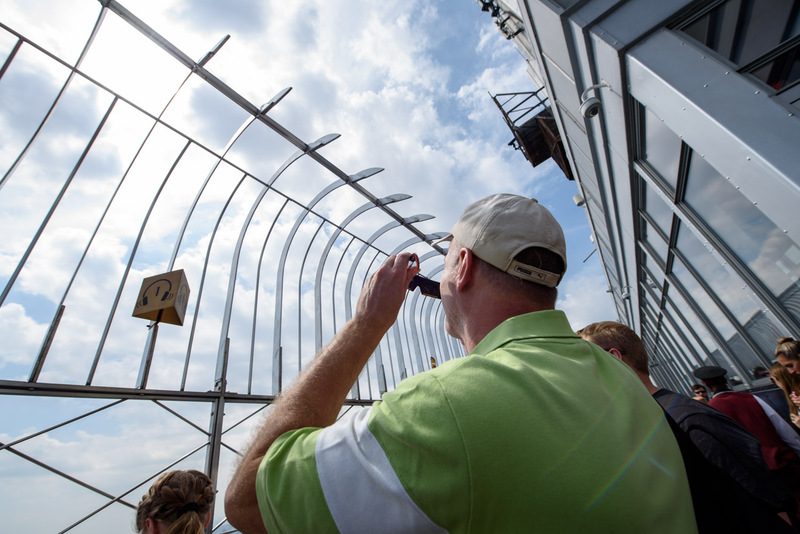 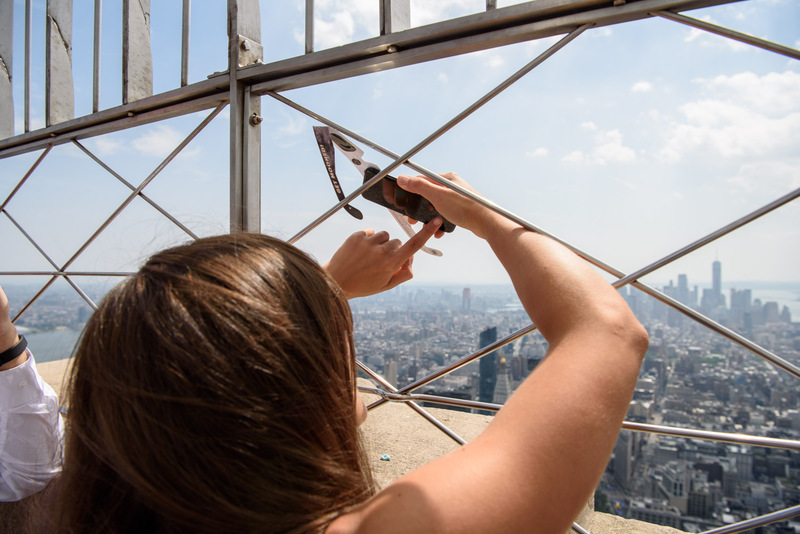 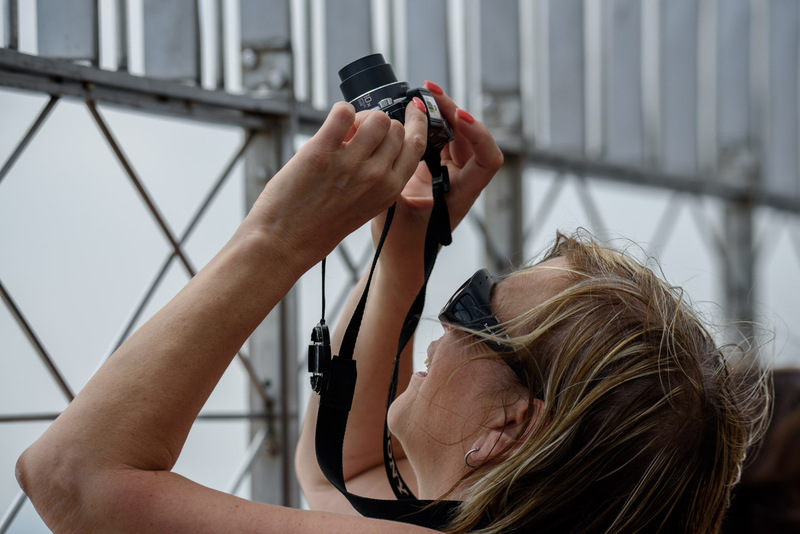 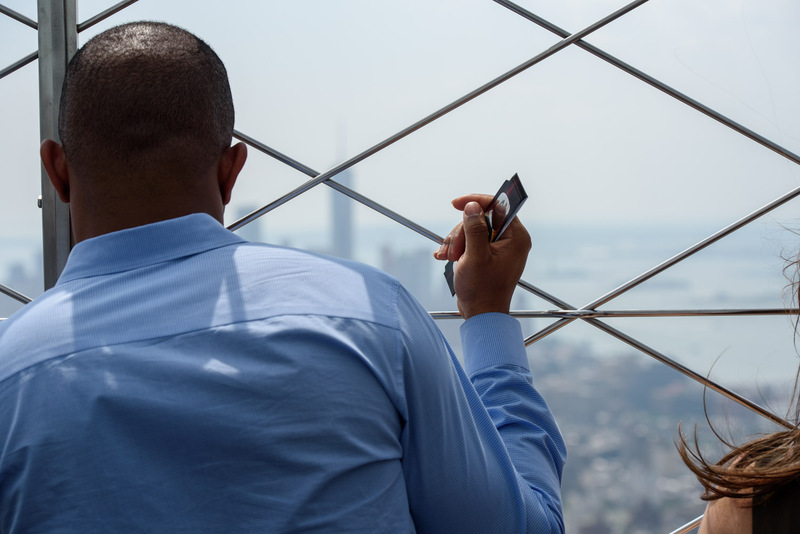 There's no better place to capture moments like this in New York City than atop the Empire State Building's 86th floor observation deck. 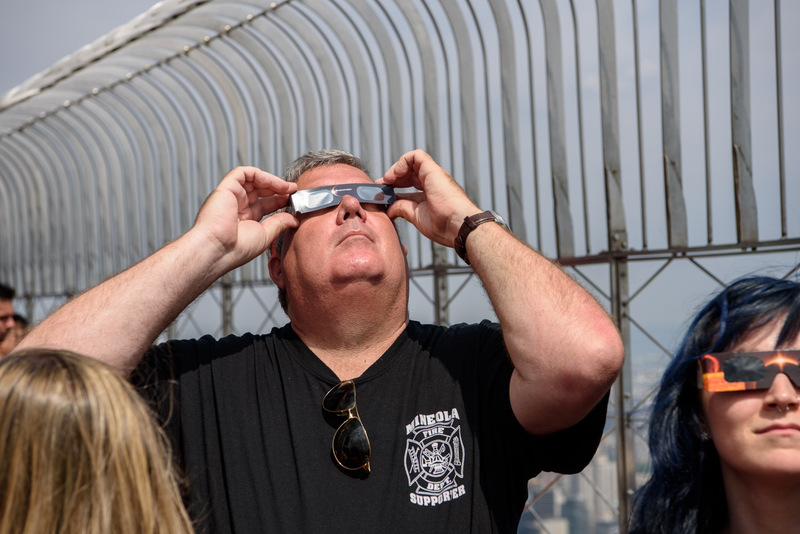 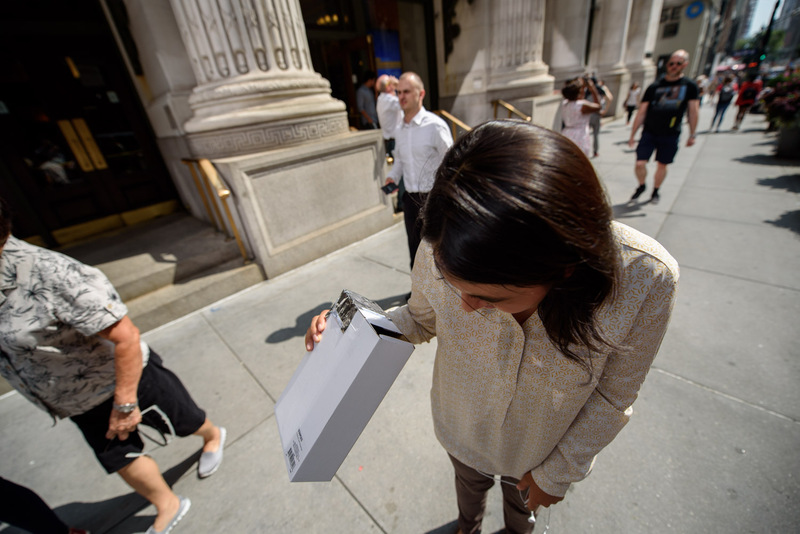 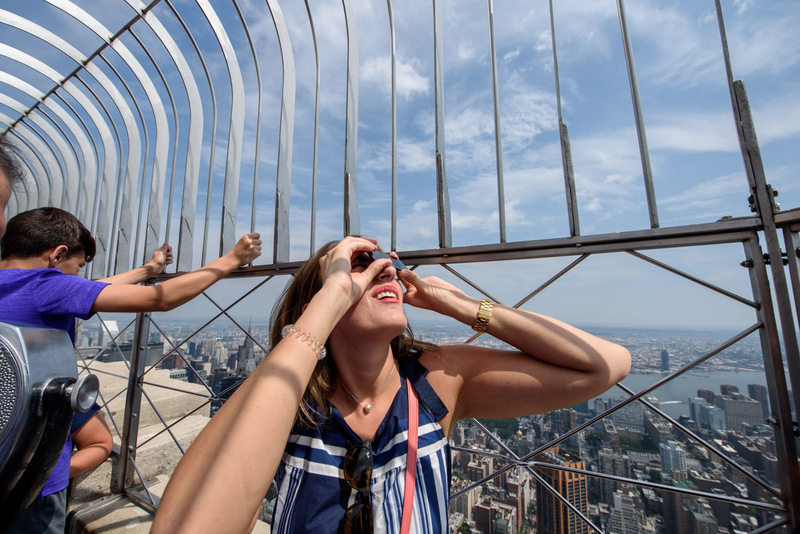 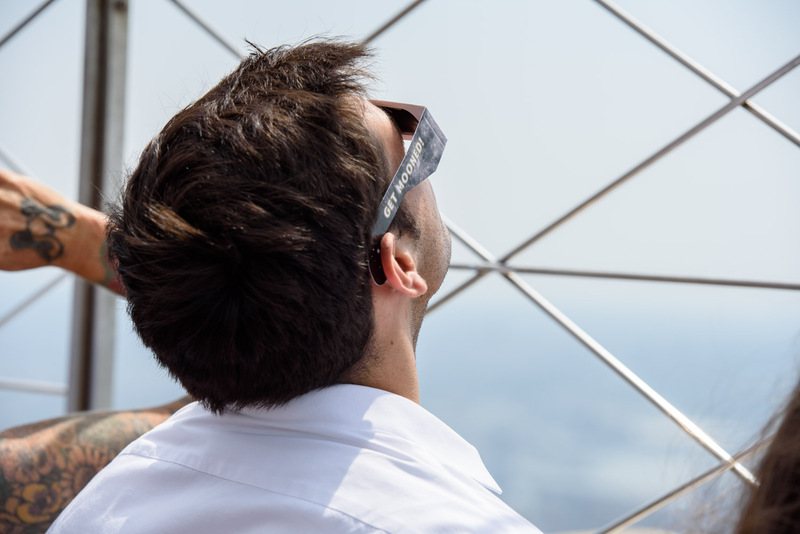 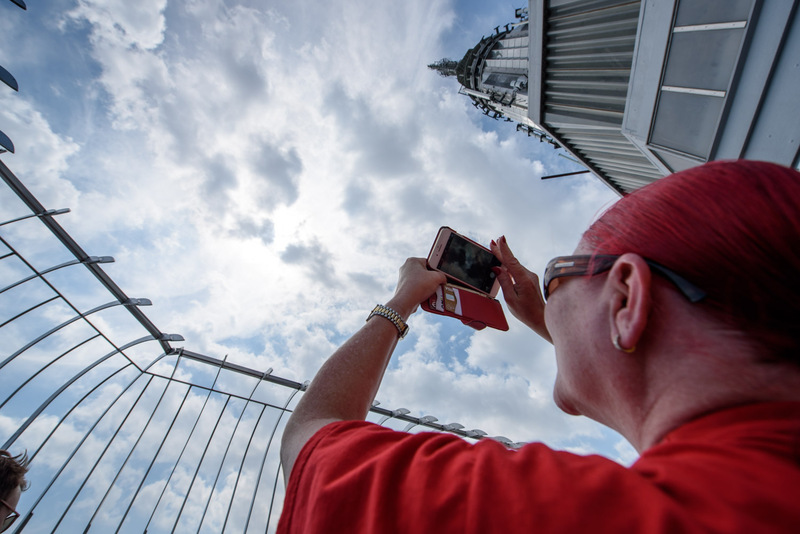 During Monday's eclipse, which was viewable in the NYC area, we visited the ESB and toured different parts of Midtown Manhattan. 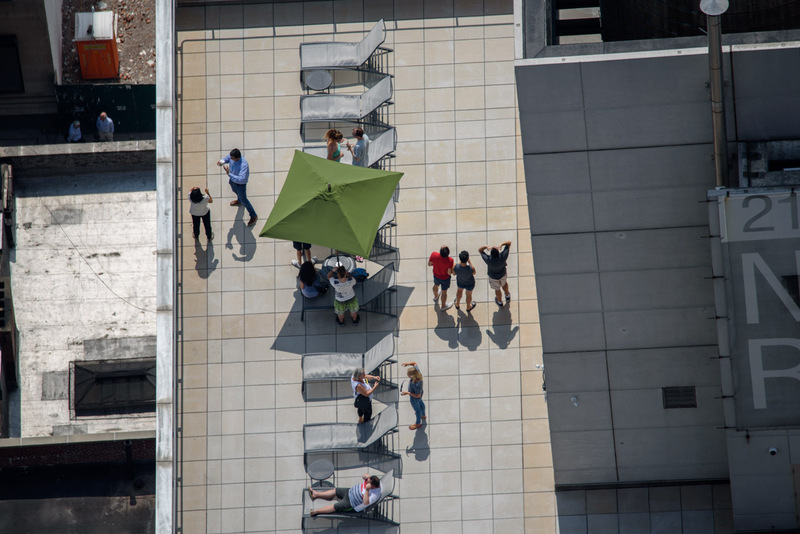 Check out the photos we captured in the gallery above. 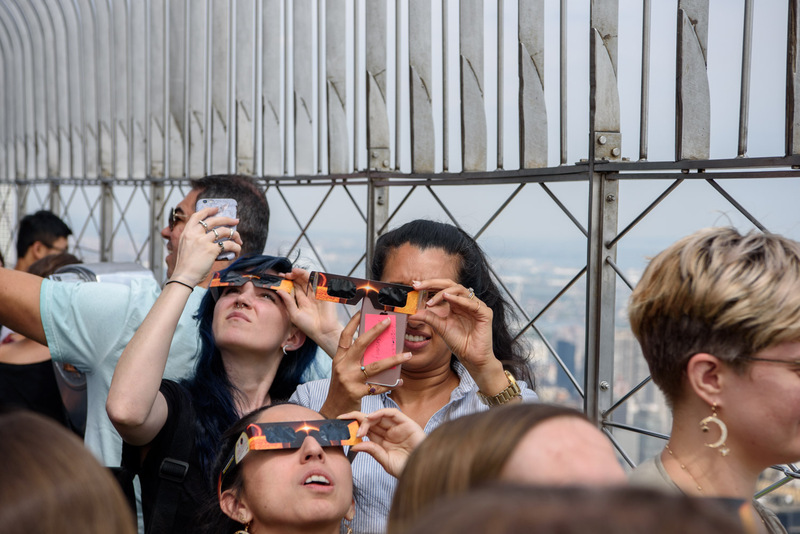 Did you snap your own eclipse photos? 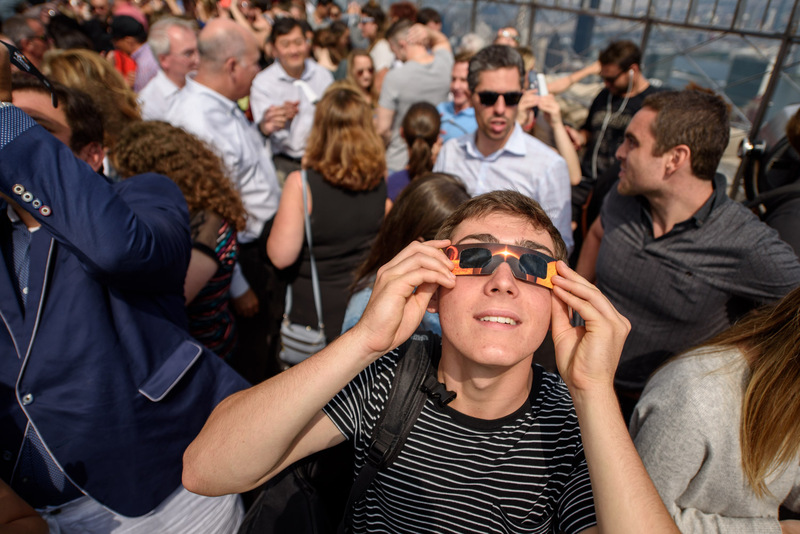 Send them to us on Twitter or Instagram using the hashtag #abc7NY.